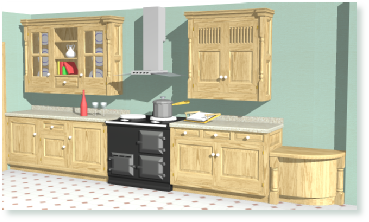 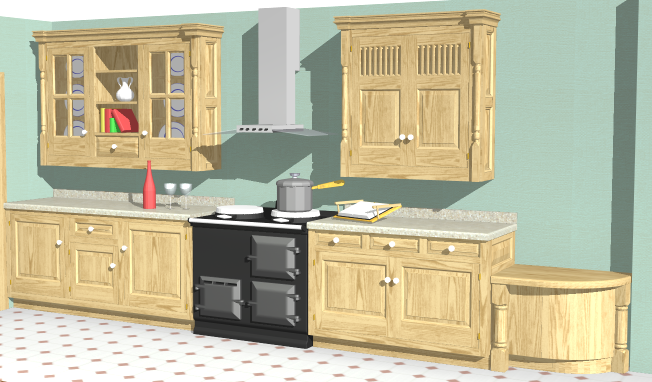 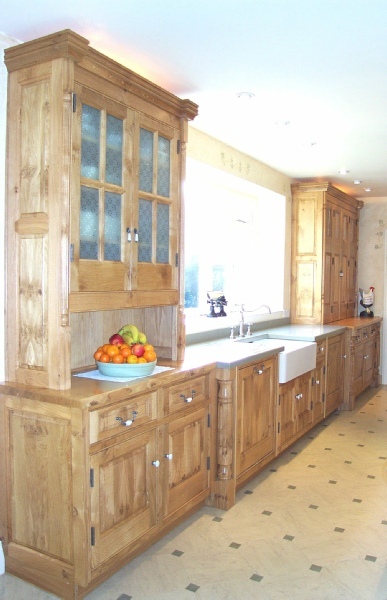 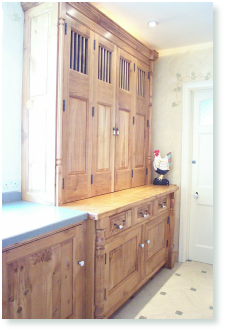 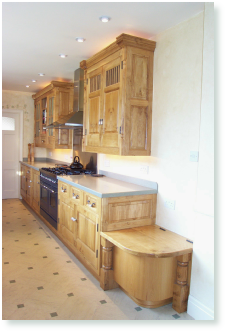 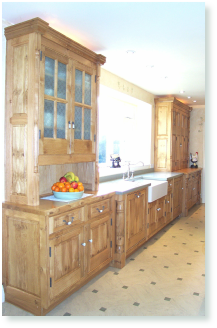 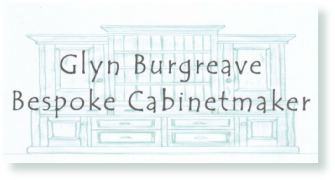 No expense was spared with these Pippy Oak cabinets incorporating moulded framework, fielded panels, pilasters, tall cornice and high quality hardware. 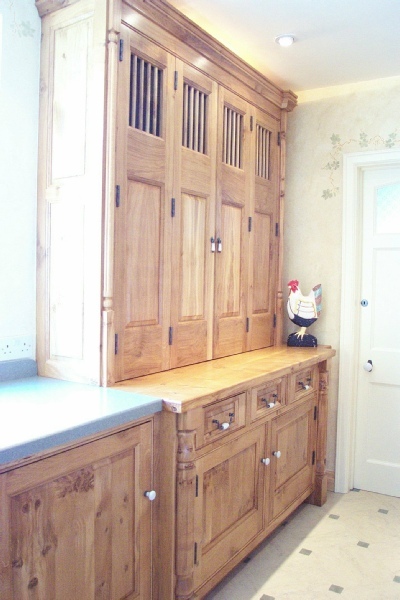 A lot of our client’s own thoughts and desires have gone into this design and a great deal of time was spent with her and her family in creating a beautiful double-galley working kitchen. 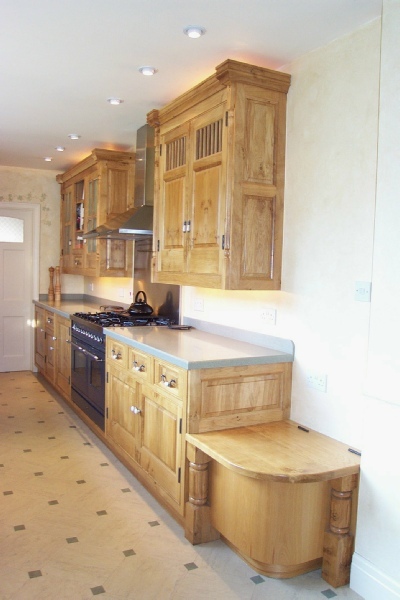 Long after the kitchen was complete, our client said ‘I wouldn’t change a single thing’!